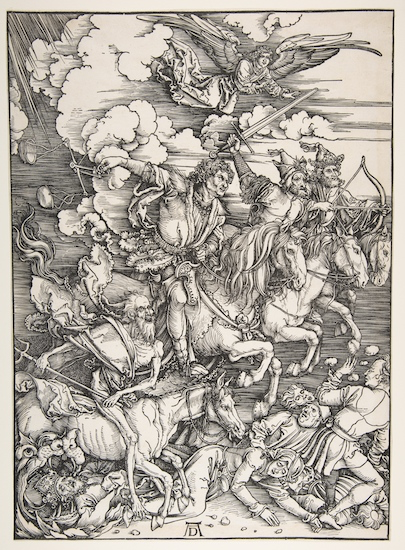 Below is a copy of Albrecht Dürer’s woodcut titled The Four Horsemen of the Apocalypse (1498). That title is a reference to the New Testament Book of Revelation 6:1-8. Conventionally the horsemen are called Conquest, War, Famine and Death, but those names are subject to scholarly debate. The “Famine” passage refers literally to high prices for food, which could also be taken as a reference to financial ruin through inflation. Let’s call “P” the probability of a 100-year flood in a known flood zone and consider the odds of the flood happening or not happening each year in a succession of years. This means that over a 30-year period, the probability of one 100-year flood is 26%, or more than one chance in four! This math is called a Bernoulli process. Again, don’t worry about the details. The point is that disastrous events with tiny probabilities of happening in a short time span are almost certain to happen over a longer horizon. Let’s take the above math and consider four separate catastrophes, each equivalent to a 100-year flood, with no correlation to each other. If the odds of each individual event happening in 30 years are 26%, the odds of any one happening in the same period are 100%. As we come up with a longer list of “100-year floods,” the time frame of one event happening with 100% certainty goes from 30 years, to 20 years, to 10 years, etc. In other words, the next 100-year storm is waiting for you right around the corner. By the way, real-world experience bears out this math. 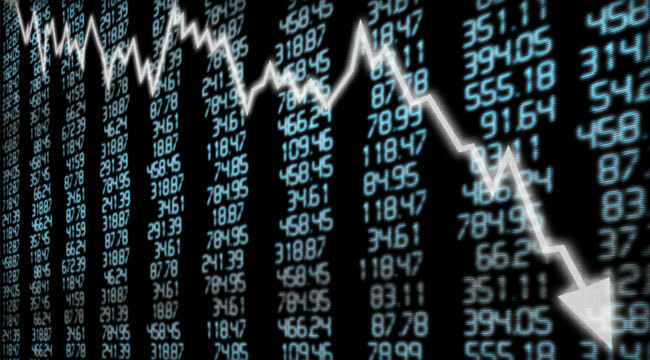 When we consider recent financial catastrophes affecting U.S. investors only, without regard to other types of disaster, we have had major stock market crashes or global liquidity crises in 1987, 1994, 1998, 2000 and 2008. When the 100-year flood does hit, it’s too late to buy flood insurance. Likewise, when the next financial crisis hits, it will be too late to buy gold at today’s relatively attractive prices. The best time to buy flood insurance is when the sun is shining.